These early settlers were confronted with many problems. Building materials were hard to obtain so most buildings were made of sod. In order to obtain water, very often deep wells had to be dug. In the west part of the county this was not as great a problem since water could be found after digging only a few feet. These settlers lived in constant fear of prairie fires and for protection plowed wide furrows around their buildings and stacks of feed. To be guilty of starting a fire was second only to being a horse or cattle thief at that time. 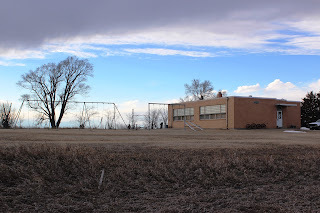 Most of the early settlers found employment on the large ranches or “back east” in Custer County. They left home early in the spring and were gone the entire summer. The wages earned kept the families in necessities until the first crops were grown or the livestock herds were built up. 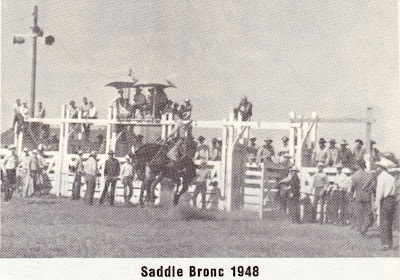 A few of the settlers hauled wood from the Dismal River to North Platte or Custer County, gathered bones and hauled them to the rail heads, or shot prairie chickens for sale in the markets in the eastern states. 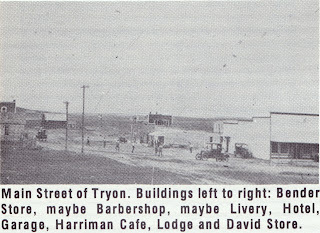 McPherson County was, until this time, a part of Logan County. On January 28, 1890, a Special Board of County Commissioners met at the home of D.P. Wilcox at McPherson Post Office. At this meeting the Special County Commissioners, H.J. Anderson and H. Newberry, and Special County Clerk, D.P. Wilcox voted to divide the county into two precincts, West and East McPherson. The place of voting in the west was at the home of Mr. Brown at Cottonwood ranch and in the East at the home of John Booze. It was also decided at this meeting to have an election of County Officers on February 27, 1890. 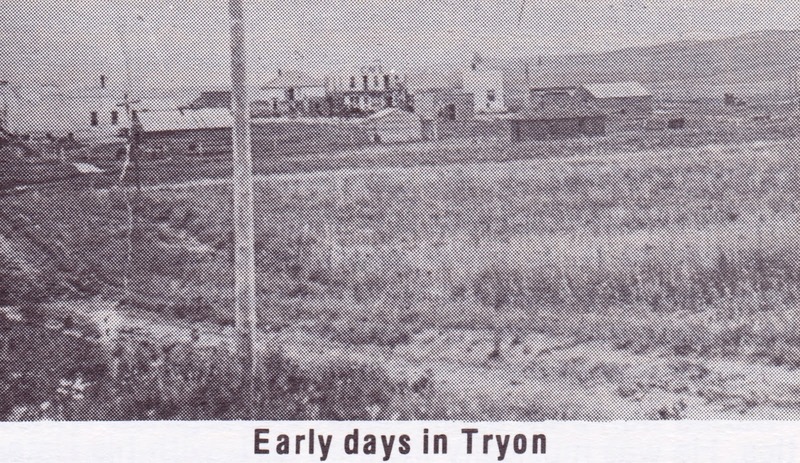 The county’s first officers were B.F. Wilson, County Clerk; Jay Smith, Treasurer; Albert Mayer, Sheriff, C.W. Shaul, County Judge; Lewis E. Dolph, County Superintendent; G.M. Brooks, Coroner; R. E. Haskell, H. Newberry and H.J. Anderson, County Commissioners. Later the office of R.E. Haskell was declared vacant and Henry Brown was appointed Commissioner. 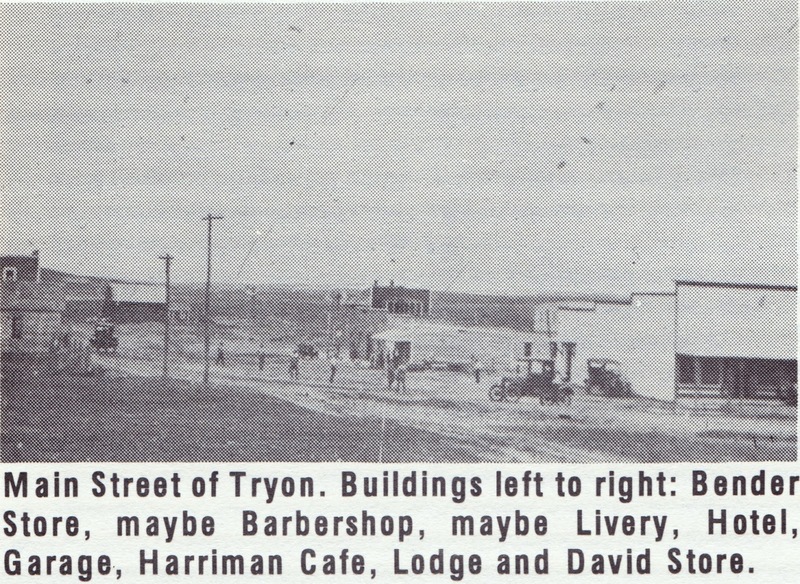 On May 17, 1890, the commissioners moved the county seat from McPherson Post Office to where Tryon stands today. Even though McPherson Post Office was only four miles away the county seat was named McPherson. The population of the county at this time and of the then unorganized Arthur County was only 401 people. Most of these were in the eastern half of McPherson County. The courthouse was built in 1890 and was approximately thirty by thirty feet in size, made of sod, and covered by a high frame roof. It contained a brick vault and steel safe. The vault and safe are now located in the present day courthouse. 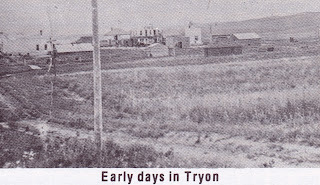 This first courthouse was located where the high school stands today.